Students line up for lunch at the newly enstated school meals program at Glenwood Springs High School on Friday. The school has been without a school district-sponsored program since 1994, 13 years before the new high school was built. The GSHS cafeteria these days includes a mix of students who bring their lunch from home, buy school lunch or go off campus and bring food back to the school. The usual midday rush of students headed to City Market, located across Grand Avenue from Glenwood Springs High School, in search of something for lunch. School lunch Free and Reduced Program qualification compared to actual student participation rates at four area high schools, based on the most recent statistics from 2015. 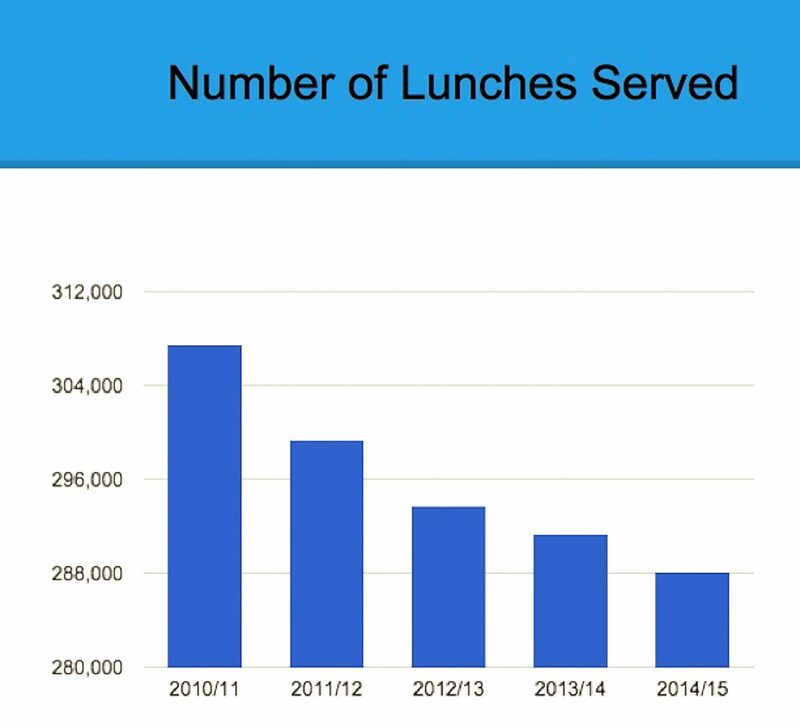 School lunches served in the Roaring Fork School District has been on a downward trend in recent years. Glenwood Springs High School senior Jose Rivera says he would regularly spend $25 a week or more to go off campus for lunch during his first three years of high school. But this year, he and the rest of the 900 students at GSHS have another, less expensive option. “It’s a pretty good deal,” Rivera said as he stood in the lunch line Friday, weighing the options between chicken pasole, a cheeseburger or a favorite stand-by, Domino’s Pizza, plus Spanish rice and tortilla chips on the side, a full fruit and salad bar, and milk. Likewise, sophomore Molly Hemmen said she would otherwise buy her lunch at the on-site café service operated by a private vendor up until last year, or go off campus, both of which could get pretty expensive. 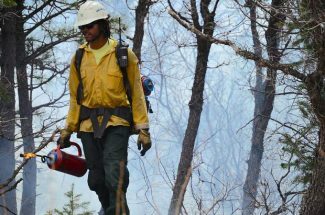 “At least there’s pizza,” Hemmen said. The cost? — $4 for students and $5 for teachers and staff. Or, for the 52 percent of GSHS students whose families qualify for reduced-cost lunch under the federal Free and Reduced Meal Program, 40 cents. School district-sponsored breakfast and lunch service made its return to GSHS at the start of the new school year last week after a 22-year hiatus, including the past nine years since the new high school was built complete with a modern kitchen facility under the premise that a regular cafeteria meal program would be offered. 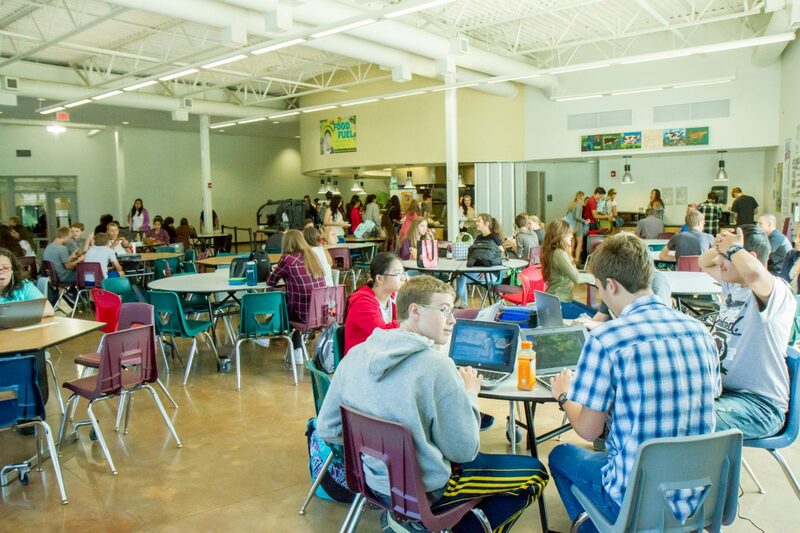 “We haven’t had it simply because students weren’t using it,” GSHS Principal Paul Freeman said, noting that the school has an open campus policy that allows students to go off site during lunch. And the close proximity of the City Market deli and other food options makes that an attractive option, he said. The school has also invited a series of private vendors to use the kitchen facility since the new school was completed in 2007, including most recently longtime area chef Andreas Fischbacher. But those services were not eligible for the Free and Reduced Meal program, and, though competitive with off-site food options, were still rather expensive. “I’m thrilled that we now have this, because there is a need,” Freeman said, noting the increasing percentage of students entering GSHS who qualify for the program. 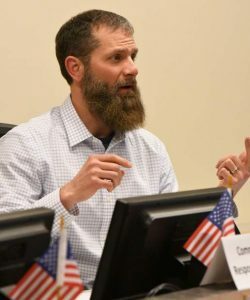 “What’s disturbing is that some of the families who qualify don’t want to exercise that right,” he said, pointing out that even a teacher who has two children and is making less than $45,000 would qualify under the program. “There’s no shame attached, this is a right for people and it’s intended for a good purpose,” Freeman said of the importance of making sure students are well-nourished so that they are better able to learn. Michelle Hammond, director of food services for the Roaring Fork School District, said the return of a meal program to GSHS has been in discussion for the past two years as the district noticed an increase in the percentage of qualifying students within the Glenwood Springs Middle School ranks. In addition to the lunch service, breakfast is also served before school and during a morning break that GSHS has built into its schedule. Qualifying students can receive free breakfast, she said. “So far, for the most part we have heard a large number of comments from parents and from staff that they are super excited about having this program at Glenwood High School,” Hammond said. As with the district’s other high schools in Carbondale and Basalt, three different entrees are offered every day, plus a full vegetable and fruit salad bar and sides. The school meal programs are also now in accordance with the Healthy Hunger-Free Kids Act that was championed by First Lady Michelle Obama and signed into law in 2010. Only three days into the new school year, students at GSHS are checking out the new lunch option but aren’t quite sure if they’re ready to give it a thumbs-up. Senior Grace Coley said she’ll miss the options offered under the former private vendor service, but she said curiosity prompted her to get in line for Friday lunch. Another senior, Margarita Ramirez, was just polishing off a bowl of the chicken pasole. “It’s really good, but it’s not quite enough,” she said, earning a concurrent nod from her table mates, junior Kyro Ledeszma and sophomore Dalia Ramirez. Among the legions of GSHS students making the usual lunchtime pilgrimage to and from City Market across the street from the school were sophomore Cole Williams and freshmen Audrey Steen and Francesca Roberts. Williams said he usually brings his lunch from home, which he said can be even cheaper than eating the school lunch. “I can buy bread and meat for $4 and it lasts me quite a while,” Williams said. As a freshman, Steen admitted she likes the newly awarded freedom of being able to leave campus for lunch, which she couldn’t do as a middle school student. But she and Roberts said they’ll probably give the school lunch a try eventually. “I think it’s a really good option for some of the kids,” Roberts said. Hammond said it’s a national problem keeping high school students on campus for lunch, and school meals participation rates for all school levels are down. 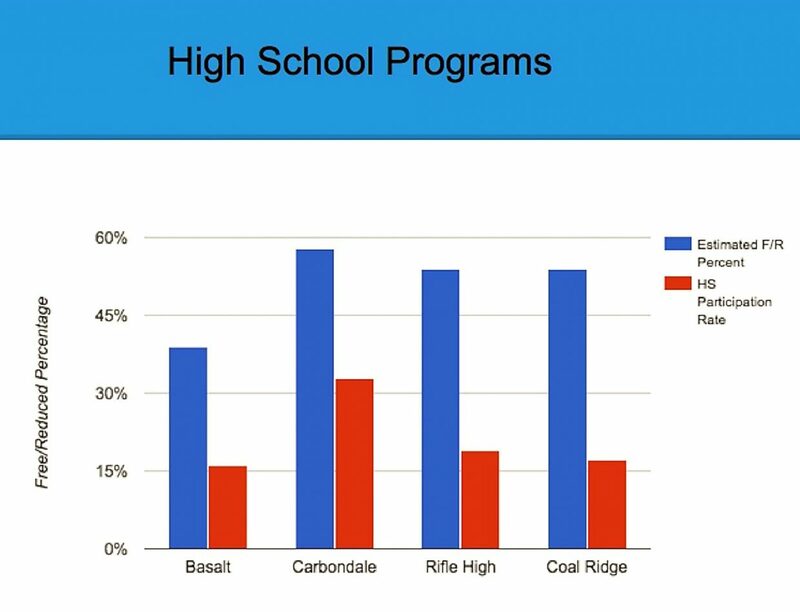 In Garfield District Re-2, both Coal Ridge and Rifle high schools allow only seniors to leave campus for lunch, but school lunch participation is still fairly low. About half the students at both of those schools qualify for Free and Reduced Meals, but less than 20 percent of the entire student body utilizes the school lunch program. 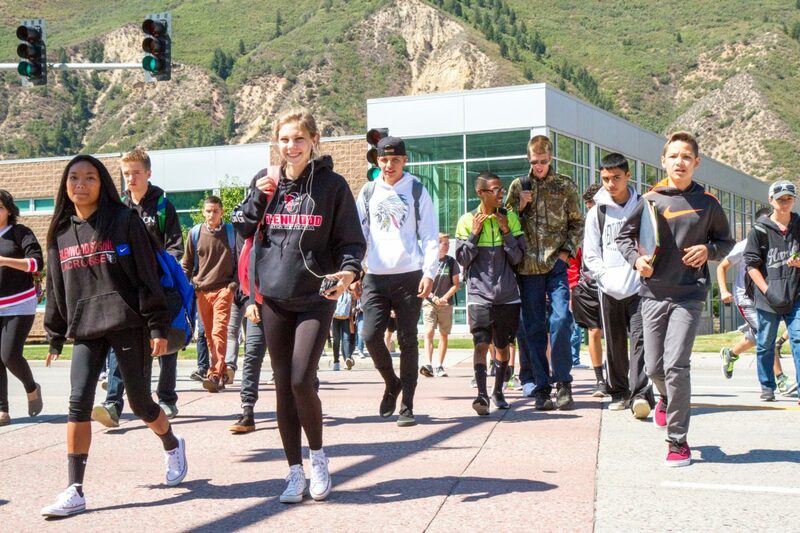 Roaring Fork High School in Carbondale, which is part of RFSD, does somewhat better with about 58 percent of the students qualifying for Free and Reduced Meals and a total participation rate of more than 30 percent, according to statistics provided by the district. One unique attraction at RFHS is that some of the produce included with the salad bar comes from the school’s own grow dome and outdoor gardens, which are maintained by students in the agricultural biology program. 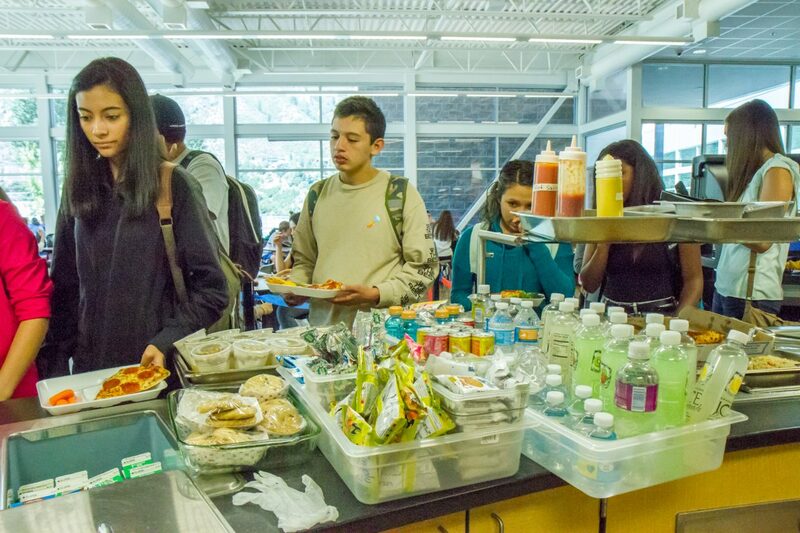 At Basalt High School, about 40 percent of students qualify for discounted meals, yet the school sees less than a 15 percent participation rate, Hammond said. The cost to the district’s general fund to subsidize the introduction of the GSHS meals program is about $35,000, on top of the nearly $100,000 the district already spends for the other Glenwood, Carbondale and Basalt schools. Nationwide, participation in school meals programs has declined 4.5 percent in the years since the Healthy Hunger Free Kids Act went into effect, according to a presentation by Hammond to the RFSD school board last spring. District wide, about 41 percent of the approximately 5,425 students qualify for meals at a free of reduced rate. 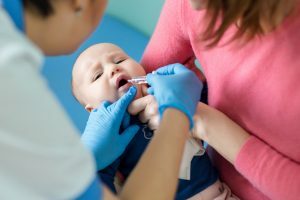 But the new HHFKA rules, which were partly intended to address childhood obesity rates, have increased compliance costs and resulted in lower student participation rates. The legislation updated nutrition standards for school meals, placing limits on calories, sodium and fats and restricting competition for other foods sold on school grounds. With that has come an increase in the average cost per meal to more than $3.45, while the U.S. Department of Agriculture reimbursement rate sits at about $3.30, according to statistics contained in Hammond’s presentation earlier this year. A 44 percent increase in the cost of milk, plus wages for school cafeteria workers, has also increased the cost locally, she said. And, where the school meals programs were once able to purchase locally sourced foods, that’s no longer possible with the increasing costs, Hammond said. The district is also down two food service employees at the high school level, she said. At $15.39 an hour for kitchen managers and $13 an hour for cooks, the wages are competitive with other school food service programs in the area, Hammond said. But on a broader scale, she said she has a hard time keeping cafeteria workers at those pay rates.